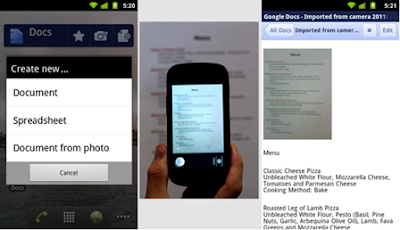 Google recently released its official app for Google Docs on Android. 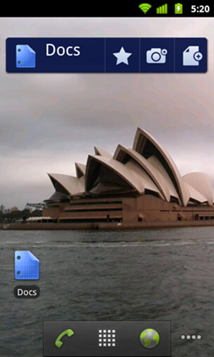 With this app users can*filter and search documents *on your Google account. *Users can also*easily share items with contacts on their phone, right from within the app. Besides that, this app also allows users to create documents with a single tap and users can*upload content from your phone and open documents directly from Gmail. For easy access users can*add a widget to your home screen for easy access to three core tasks: jumping to your starred documents, taking a photo to upload, or creating a new document with one tap. One of the mind blowing feature Google has included in this app is*optical character recognition (OCR). With this you can click a photo of a document from your phone camera and convert them to text documents. Although at this point it cannot register user handwritten documents but Google promises to work on it soon. 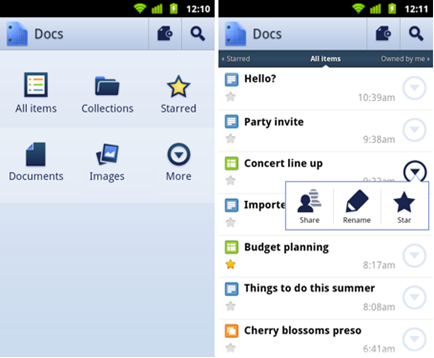 You can download Google Docs for Android *from Android Market for free provided your device runs on Android 2.1+.